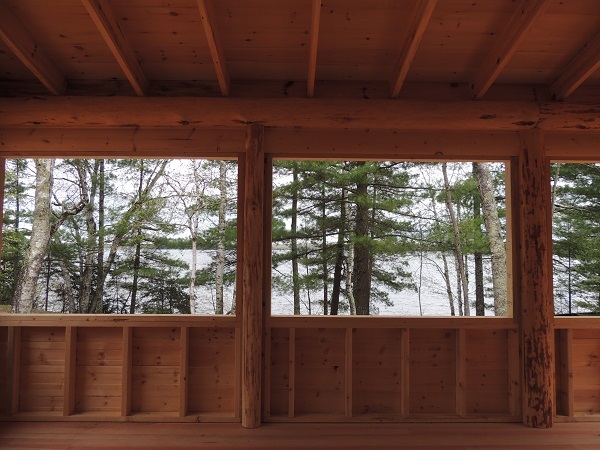 Enjoy this newly built cabin accented with cedar log walls, stone fireplace, and double patio doors framing a serene view of Lost Land Lake (one of the Quiet Lakes) with a large screened-in porch just 75′ from the water’s edge providing easy access to your private dock. Central heating and air will keep this treasure at the perfect temperature for spring, summer and fall. 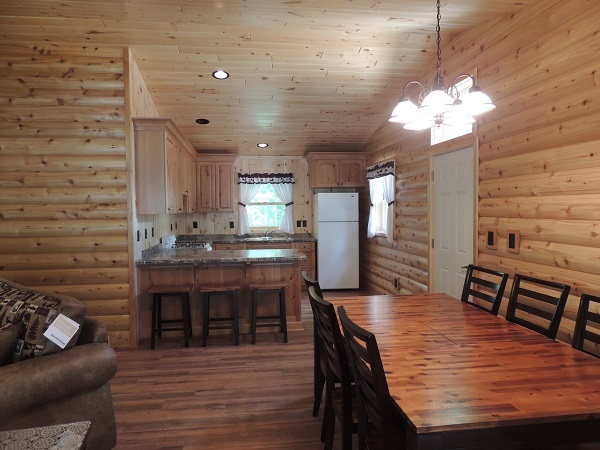 Our first pet-free cabin offers three spacious bedrooms, two baths, a cozy kitchen with snack bar adjacent to a large dining and living room area with a cathedral ceiling that adds to the charm of this beautiful cabin. The location of this delightful gem offers a perfect balance of interaction and relaxation. 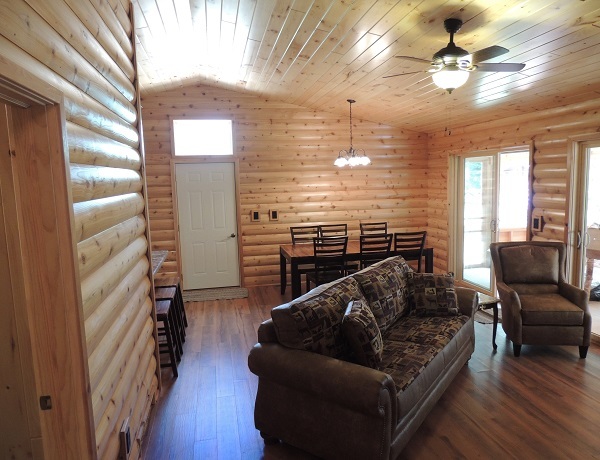 The Cedar is ideal for a family or couples who want a getaway that’s less commercial and more meaningful. Check our Outdoor Adventures page for suggestions on how to spend quality time with the special people in your life. Of course, a resort with a beach is a rare find these days, so bring your sun screen and plan to have some fun in and on the water. 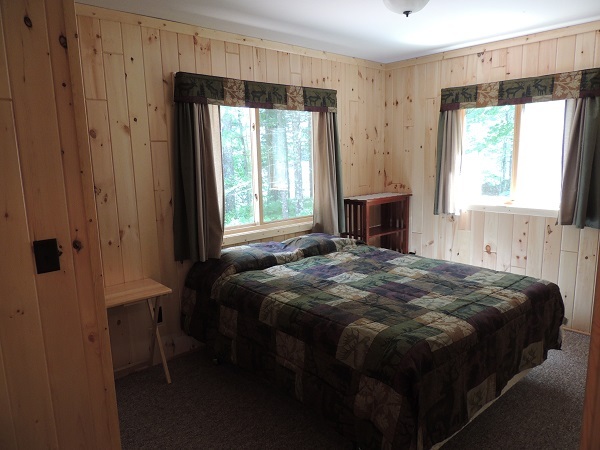 You can also enjoy lots of indoor activities without ever leaving the Northland Lodge property.